Chester Henry and his adult granddaughter Clare lovingly repair old typewriters and restore old books. Who ever thought their quaint store would hold the key to some modern-day trouble? When a stranger to town demands they turn over an antique Underwood typewriter they're repairing for a customer, Clare fears she may need to be rescued. A call to the police scares the man off, but later Clare finds his dead body in the back alley. What about a dusty old typewriter could possibly be worth killing for? Delaney Nichols has settled so comfortably into her new life in Edinburgh that she truly feels it's become more home than her once beloved Kansas. 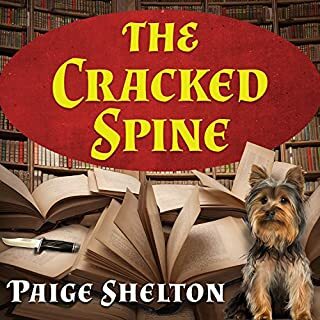 Her job at the Cracked Spine, a bookshop that specializes in rare manuscripts as well as other sundry valuable historical objects, is everything she had dreamed. 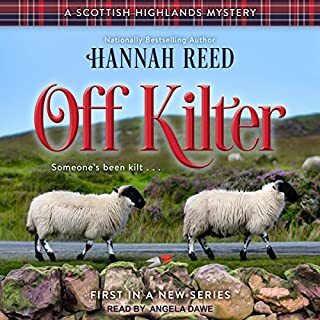 Her latest task includes a trip to Castle Doune to retrieve a hard-to-find edition of an old Scottish comic, an "Oor Wullie", in a cloak-and-dagger transaction that Edwin has orchestrated. While taking in the sights, Delaney is startled to spot a sandal-clad foot at the other end of the roof. Unfortunately the foot's owner is dead and, based on the William Wallace costume he's wearing, perfectly matches the description of the man who was supposed to bring the Oor Wullie. As Delaney rushes to call off approaching tourists and find the police, she comes across the Oor Wullie. Instinct tells her to take the pages and hide them under her jacket. It's not until she returns to the Cracked Spine that she realizes just how complicated this story is and endeavors to untangle the tricky plot of why someone wanted this man dead, all before getting herself booked for murder. This will be my last book in this series. Delaney is insensitive and nosy. There is no reason for her to investigate the murder in this story but she plods on asking questions for no reason. Everyone is patient with her and treats her like an inquisitive child. I didn't t finish this book. Carrington MacDuffie did a good job with the accents. But even she couldn't save this mediocre story. "Books: They're definitely the stuff of magic." 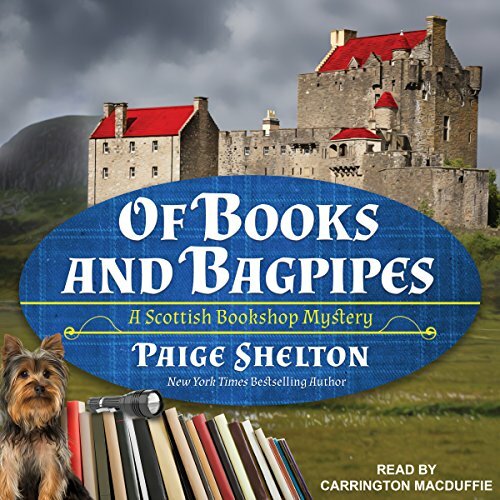 In <strong>Of Books and Bagpipes</strong> by Paige Shelton, Delany Nichols has settled into her home and job at a bookstore that deals in rare books and other items in Edinburgh after she moved to Scotland from Kansas. Her boss, Edwin, has sent her to pick up a collection of the <em>Oor Wullie</em> comic strips from 1948. She is to meet a William Wallace reenactor at the Castle Doune to get the rare and valuable collection of a Scottish comic strip. 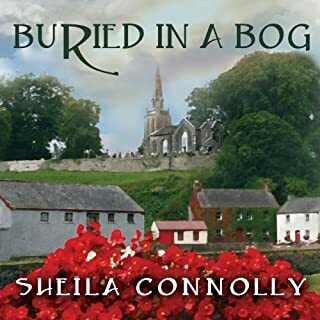 But when she arrives with Elias, her taxi-driver landlord, they climb to the top of the castle and find the body of the man Delany was supposed to meet, Billie Armstrong. As she goes to leave the castle to prevent new tourists from coming in, Delany spots the book of <em>Oor Wullie</em> and snatches it up, hiding it in her coat. Reporting her find to the police, Delany holds back the information about the book and doesn't tell the police her true reason for being at Castle Doune. Then, when the newly killed man's dead father walks into the shop, he stuns Edwin and the employees, further insisting that no one reveal that he didn't die in the fire as previously thought. Soon Delany finds herself in a web of deceit that she has a challenge keeping up as she investigates the case, looking for the truth. <strong>Of Books and Bagpipes</strong> proved to be a fun book with plenty of flavor in taking us to visit Scotland and the world of books. The Scottish details include phrases in Scots-Gaelic that Delany gets her co-worker Hamlet to translate for her. We get a lot of interesting descriptions of and quotes from a vast variety of books from different times and places. This book has just a touch of magic, as the books talk to Delany, giving her advice in how to react to different situations. The mystery plot has interesting angles with a fascinating premise. It had several creative angles to it, especially with all the different lies that Delany keeps telling to protect her boss, as well as the added layer of lies told by Edwin about his past. It kept me guessing all the way through, not just the identity of the murderer but also the web of lies told by Edwin. I appreciated the characters and their personalities. By the start of <strong>Of Books and Bagpipes</strong>Delany seems so realistic as an American living in Scotland for about six months now. Her landlord and landlady, Elias and Aggie, serve as surrogate parents to Delany. I also really enjoyed the character of the father of Delany's boyfriend, Artur. He works in the legendary library at the University of Edinburgh and helps Delany with research into the past using university archives and old newspapers and contributes a lot to the solution. 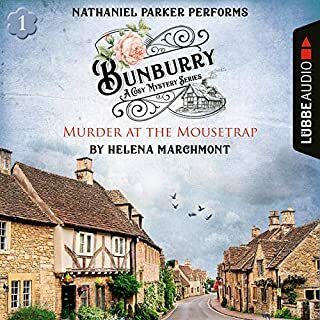 Carrington MacDuffie performs the audio edition of this book. She does a terrific job of adding to the pleasure of the book by using strong accents for different regional American accents (though I will admit to not recognizing the so- called Californian accent, something that I, as a 4th generation native Californian should be able to identify). But her real strength, at least to my Californian ears, is her Scottish accent that makes the reader feel transported to this very unique and special location. In addition to her accents, MacDuffie uses good voices to fit each character, who come from different social classes, family backgrounds, and ethnicities. With strong expression and timing, I appreciated the performance she gave in this book.